Hybrid vehicles are efficient, eco-friendly, reliable, and practical, but all hybrid vehicles have battery problems on occasion. That’s where we come in! 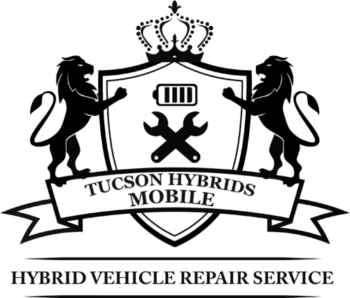 At Tucson Hybrids Hybrid Battery Repair, we offer expert hybrid services at affordable rates. We repair all types of electric and hybrid batteries. Our crew is honest, dedicated, and reliable. Rest assured, we will handle your hybrid battery repair project in a prompt, cost-effective manner. We offer convenient, same-day service in most cases. Extended warranties that last up to 10 years are available. At Tucson Hybrids Battery Repair, we serve clients in Tucson, AZ and surrounding areas. If your battery can be fixed, rest assured, we will get it fixed fast for a great price! To schedule your service appointment or for more information, contact us today at 520.344.3235! Dave is super professional. My Prius works like a charm. I got a battery replacement ~ 1K less that Toyota Dealers in town were charging to replace my Hybrid battery. The service was quick, clean, and the best deal in town. My only critique would be that the bag of complimentary goldfish crackers I ate were a few days expired (still tasty BTW). This will be the only place I take my Prius for repairs! Very helpful with my Hybrid! My check hybrid light had been coming on for a few months. I had the dreaded dead battery code. I took it to Tucson Hybrids and chose the cheapest repair option which was to replace the dead cells. As far as hybrid battery pricing, they were an amazing deal. They fixed it within a day, but the light came on again. I took it and he reset it, but again the light came on. They had me bring it back in kept it a couple days and fixed it for good this time no extra charge! I would definitely recommend them. Dave gave new life to my 2000 Honda Insight by rebuilding the high voltage battery pack. I could tell the difference in the first drive. Much better acceleration. I look forward to better gas mileage, as well. This service prolongs the life of your battery and can recharge your battery up to 95%. We recommend this service done to your battery at least once a year to prevent excessive repair or replacement costs for your battery. This service includes the repair of your hybrid battery. Typically, one or two batteries malfunction due to extreme heat and battery end of life. This service includes up two battery module replacements. Additional batteries are $50 each. This service includes the replacement of your battery with a remanufactured battery. Battery has 3-year warranty with unlimited miles (fleet vehicles do not apply and are subject to 36,000 miles).